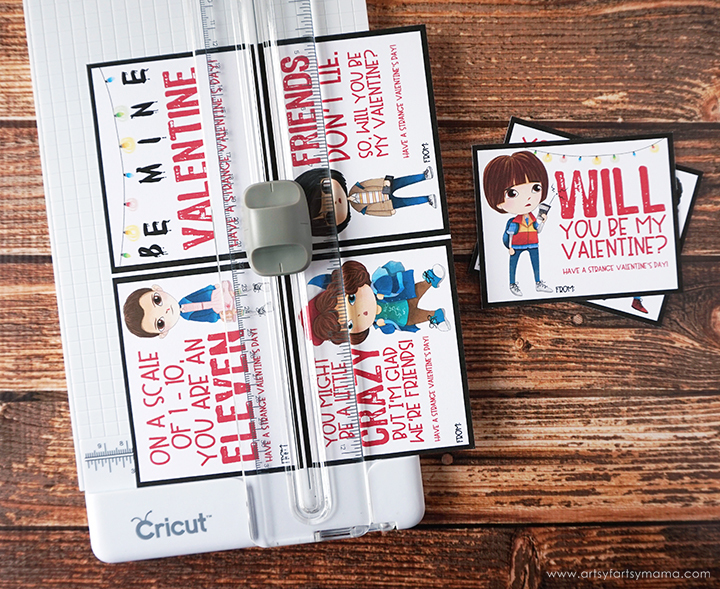 Fans of Stranger Things are going to flip upside down for these Free Printable Stranger Things Valentines! When it comes to binge-worthy things to watch on Netflix, Stranger Things is at the top of my list. A spectacular mix of sci-fi and suspense with truly lovable characters, this show has me obsessed. 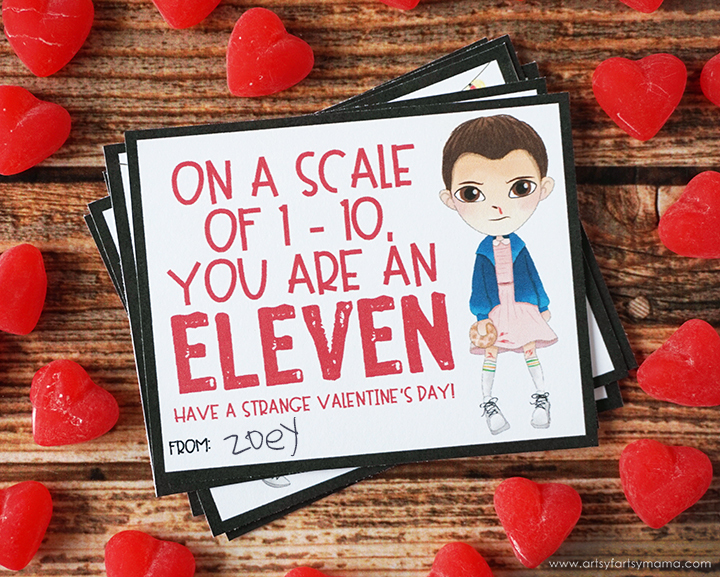 Because of my adoration of this show, I designed some Free Printable Stranger Things-themed Valentines for you to share with your BFFs this Valentine's Day! Download the Valentine cards (the link is at the end of the post) and print them out on cardstock for best results. Use scissors or a paper trimmer to cut out the Valentines. 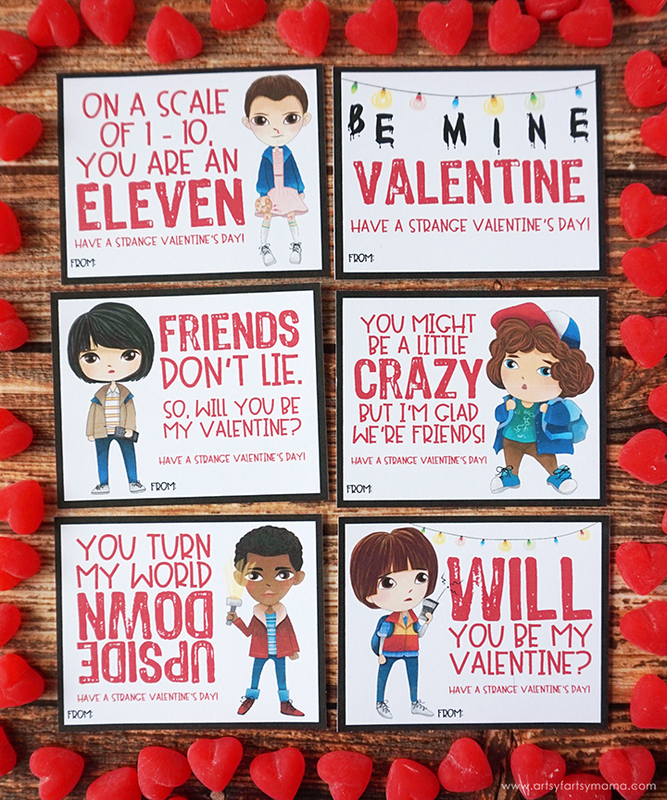 Fill out the "from" section and these awesome Stranger Things Valentine cards are ready to be handed out! There are 6 Valentine cards in the printable file, with all of our favorite characters! You are welcome to share these cards with all of your friends at home and in the classroom! Who's your favorite Stranger Things character? These are incredible!!! Thanks for making & sharing!